Raccoons are the most frustrating dwellers who make nests in the attics of your home or under the deck. Although, they are cute in looks, they can pose a great problem to humans when they start residing among them. If you are having raccoons in your property, then it’s going to become a great mess in your living space. Once the raccoons invade the attics, it’s hard to remove their invasion without the support of wildlife removal professional. 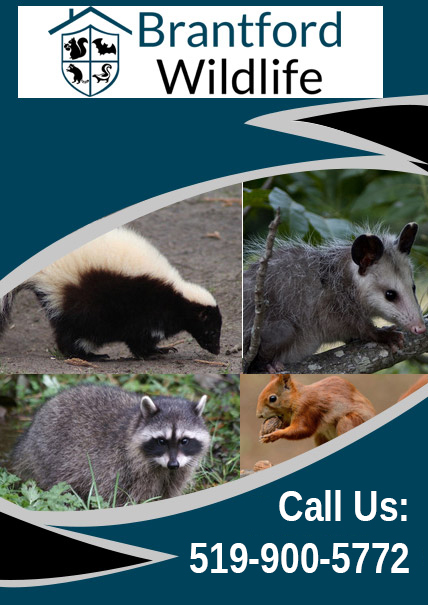 At Brantford Wildlife, we are a team of experts who strive to offer humane wildlife removal service in Brantford to shoo away the raccoons. Why There Is Need Of Raccoon Removal? They are the disease carriers which can pose serious health dangers. They can cause expensive damage to your home valuables. They make the environment ugly by spreading their droppings all around. They can injure you if you try to tackle them on your own. Our certified and licensed trappers have an ability to remove and dispose the raccoon problem within a minimal time and with great safety. Raccoon Eviction: Raccoon breeds faster and gives birth to a number of newborn babies. To resolve this problem, we use effective eviction techniques to remove the raccoon’s eggs. Humane Removal: We support utilize humane wildlife handling techniques which are helpful in relocating the raccoons and offer you a safe place to live. Damages Repair: Our professional raccoon controllers in Brantford are not only good at removal but also helpful in repairing all the property’s damages. We assist you with the quality treatment for effective and long term raccoon removal within your budget. You can trust our services and call us anytime for emergency or same day raccoon control and prevention. Looking For Professional Raccoon Removal Help?